Back on The Market - Price reduced! This is an ideal property for long term investors looking to close and begin receiving rents immediately. Not vacant, tenant occupied with good rental history. 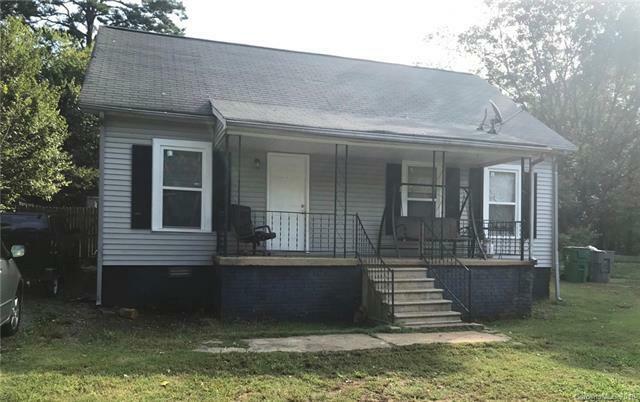 This is a 3 bedroom, 1 bath Bungalow style home with fenced yard and it is located near I-485 & Moores Chapel Rd (it is close to Paw Creek / Mt Holly Rd Area). This home was previously updated with new windows, roof, central heating & air, updated kitchen cabinets & bath cabinets. The floors are wood laminate in the main areas, tile flooring in bathroom/laundry & carpeting in the bedrooms. It has a large covered front porch and useful utility shed/storage building. The current lease is $940 per month. Complete rental history and financial statement available with approved offers. All showings will be scheduled for prospective buyers with prequalified, preapproved offers. Convey AS-IS. Some pics taken prior to current occupancy. Will need some TLC, Inspector found floor damage. Offered by Dpw Realty Group Inc. Copyright 2019 Carolina Multiple Listing Services. All rights reserved.